A perfect combination of activities and great sightseeing. 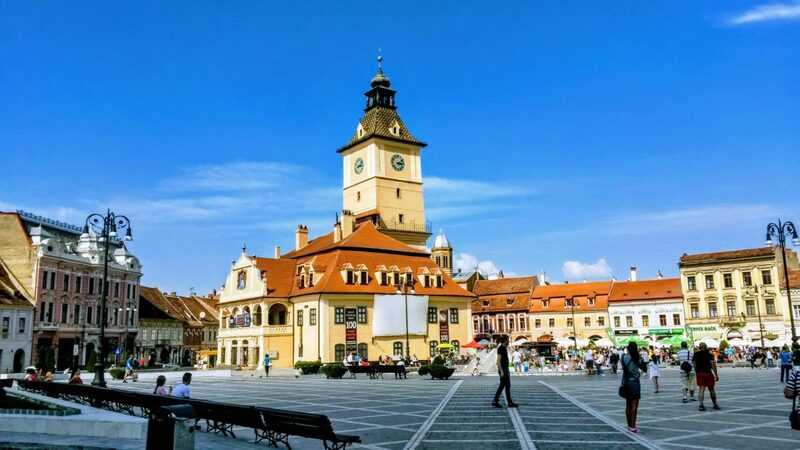 We made this tour from two magic ingredients that Romania abounds in – unparalleled natural beauty and superb historic or cultural sites. You will mountain bike through remote wild mountains in the morning and visit a UNESCO World Heritage castle in the afternoon. If you ad on top of this, some Romanian delicious home made food, you will get the cpmlete Romanian experience. We will collect you from Bucharest, airport or hotel. Drive through Prahova Valley across the Carpathian Mountains to Transylvania. Check in at our lodge in Bran – Bucegi National Park, and if time allows we will do a short hike in the afternoon. We will spend 5 nights at this lodge so you don’t have to pack and unpack every day. The trail starts from Bran at 1100 Meters altitude through the scenic Strunga saddle at 1900 meters altitude. 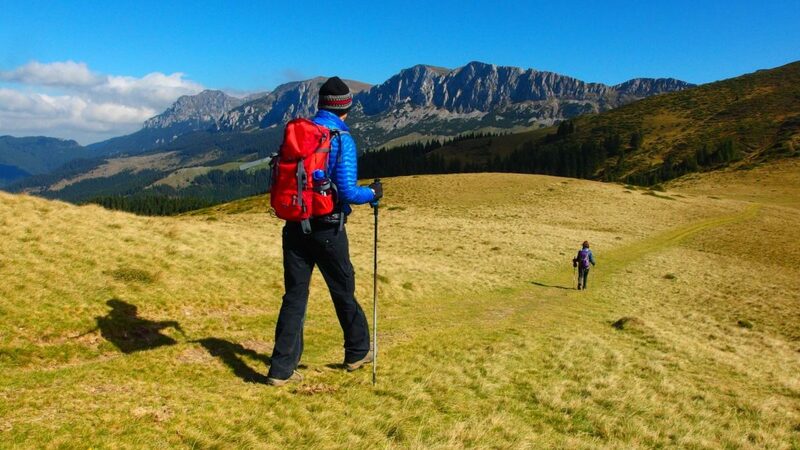 At the top the trail becomes gentle, following the former border line between Transylvania and Wallachia. This was the dividing line between 2 great empires only 150 years ago. The Turkish or Ottoman empire and the Austro-Hungarian empire disputed this border countless times over more than 600 years. The last battle that these jagged peaks witnessed was the World War 1. The German tranches are still perfectly visible on the side of the mountain. An easy and scenic descent follows all the way to Pestera Hotel in the middle of wilderness. We will leave our comfortable hotel behind and plunge into the Ialomitza Cave. A tiny Monastery Church was built at the cave entrance. The first hermits lived in the cave somewhere in the mid 1700. The cave had some previous inhabitants a few millions of years ago. Cave Bear skeletons were found in the cave. Today we will mountain bike through the southern part of the Piatra Craiului park. We start wit a long descent from the highest village called Fundata through the Cheia Valley down to a “caldera” where 4 gorges meet. From this point we will head up on the most spectacular of them – Dambovicioara gorges. We continue uphill on a steep road for about 3 km then rolling hills and superb scenery all the way back to the starting point. 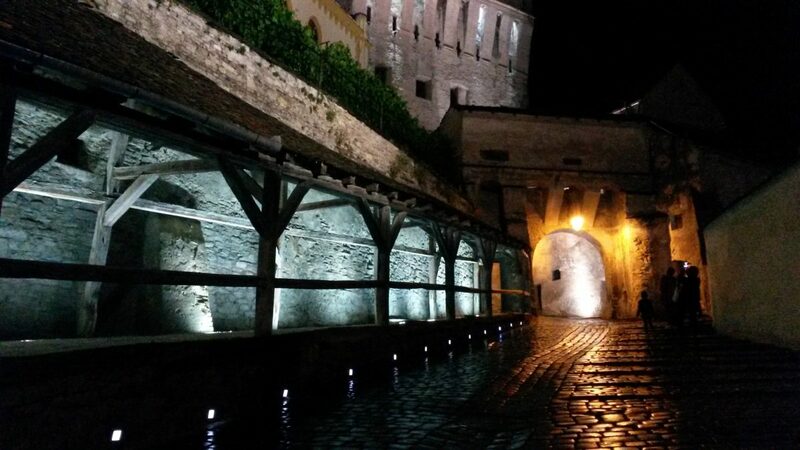 The castle appears for the first time in a 1269 document, as a residence for Saxon nobility. In 1430, the noble family sold the castle to the peasant community of Calnic, who reinforced the noble residence to be refuge for the villagers against attackers . 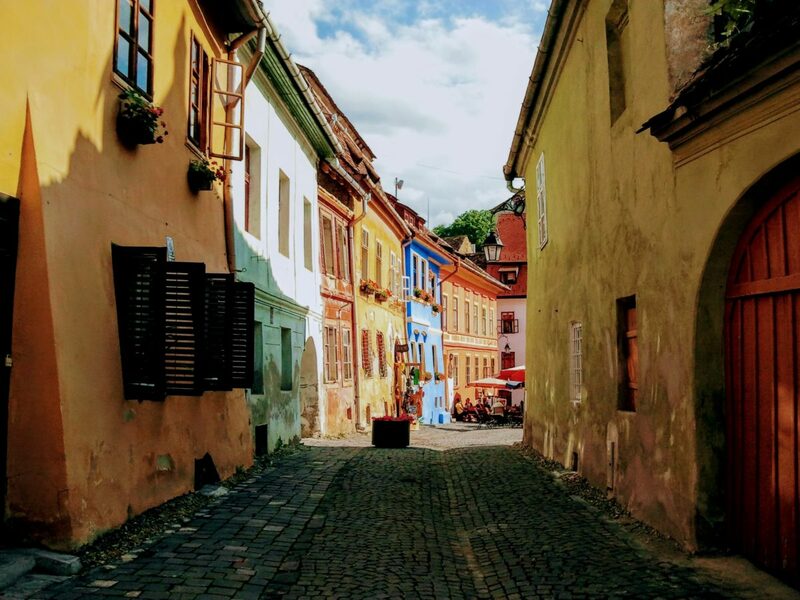 Sighisoara city tour in the morning. 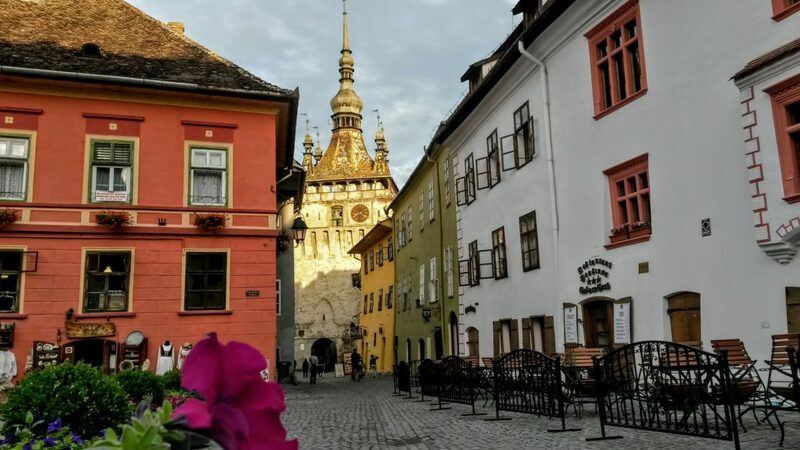 Visit the Clock Tower, the symbolic tower of Sighisoara. Then the creepy prison and torture chamber. Climb the 176 covered stairs to get to the Hill Church erected in the 14th century using an older church and a defensive tower. 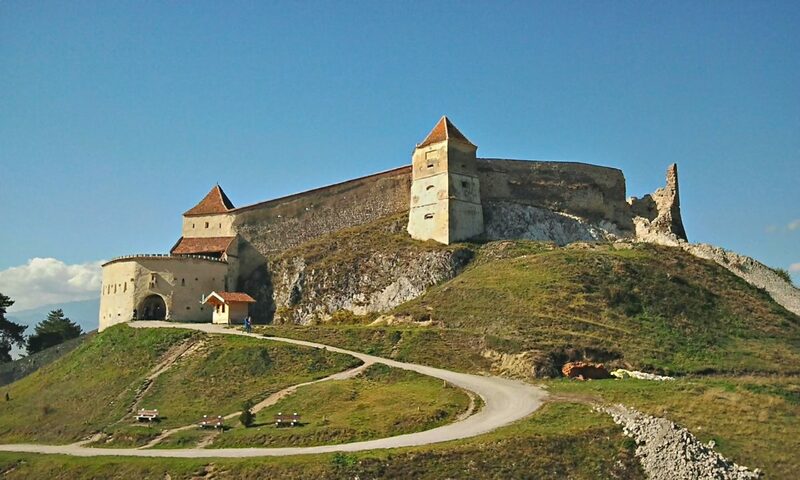 Transylvania is the area with greatest density of medieval forts, counting over 80 fortifications in a relatively small area. Most of them are fortified churches – built by the villagers around their churches to protect them from the invaders. 40 Minutes west from Sighisoara we get to one of the best of these fortified churches at Biertan – a UNESCO World Heritage site. Biertan was the Evangelical Episcopal See for 300 years (1572 – 1867). The church holds an impressive door of the vestry, built in 1515, and awarded for medieval engineering at the Paris World Exhibition. 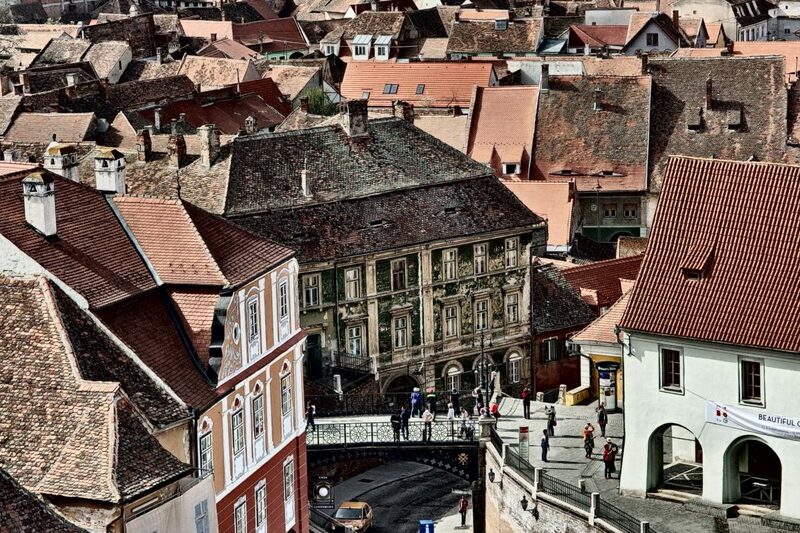 Another interesting piece of medieval traditions from Transylvania is the “Matrimonial Prison“. The couples who wanted to divorce were imprisoned in a small room inside the fortress in an attempt to sort out their problems before being allowed to divorce. Apparently the “medieval marital counselling worked ” as just one couple divorced throughout over 250 years as long as this tradition was carried. 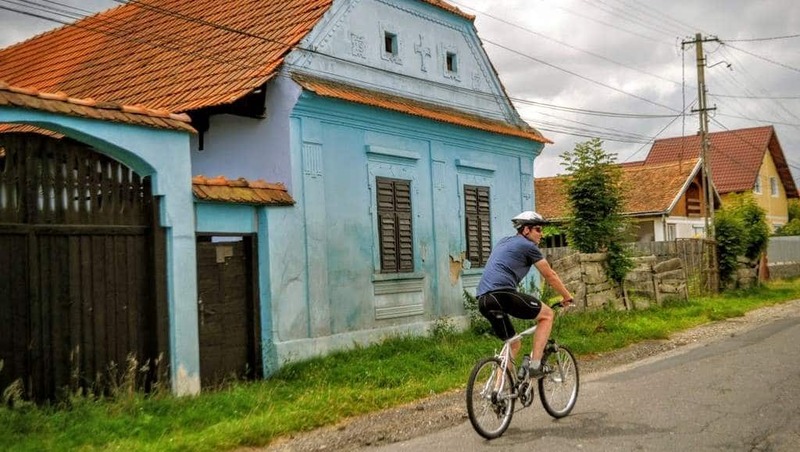 Bicycle trip to Fagaras – one of the best preserved castles in Transylvania. The ride starts with a short uphill of about 2 kilometres. Then 40 kilometres through the peaceful villages at the feet of The Fagaras Mountains (Transylvanian Alps) No major uphill today. Around lunch time we arrive in the town of Fagaras. 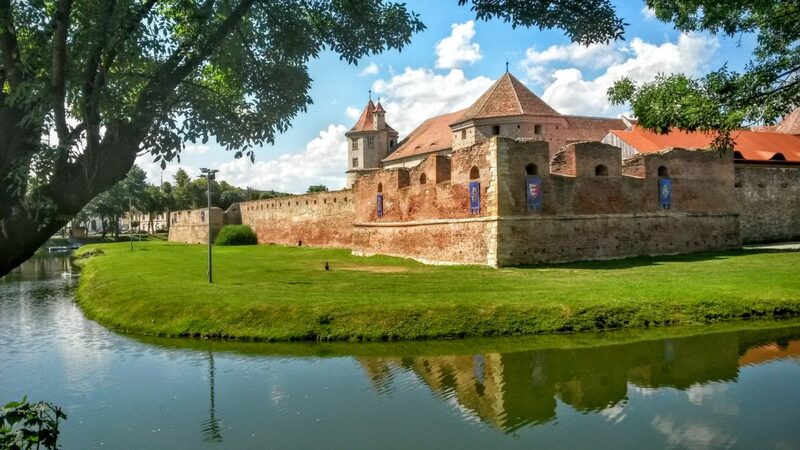 After lunch it’s time to explore the impenetrable Fagaras castle. The Turks attacked this castle for 9 months but were not able to take the castle. After 9 months they came up with a trick and announced that they want sign a peace treaty with the transylvanian prince Stefan Mailat . So Turk delegates were allowed to enter the castle, bringing with them a lot of booze, allegedly to congratulate the victorious Transylvanian Prince. The Turks managed to get the prince and his guards drunk and captured them. Prince Mailat died 10 years later in a Turkish prison. Discover the traditional Romanian architecture at the outdoor Village Museum in Bucharest. Complete, real households were bought here from all over Romania and reassembled into a magnificent village museum. 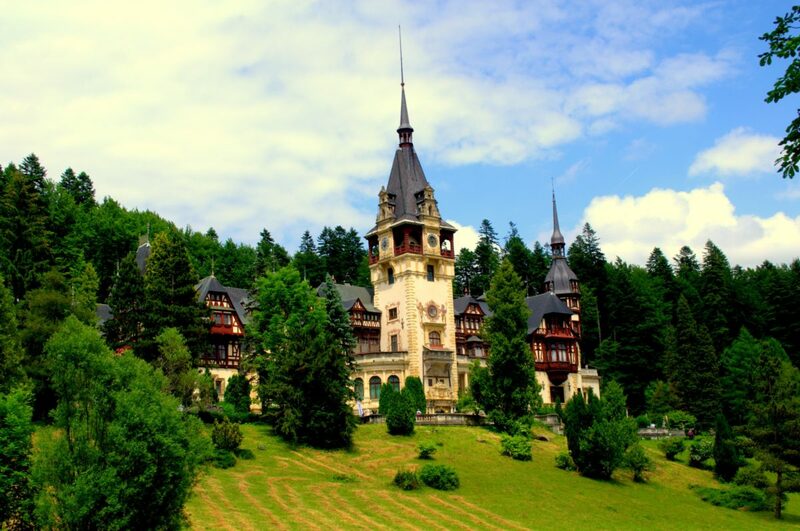 Visiting Romania is an incredibly interesting and rewarding experience. 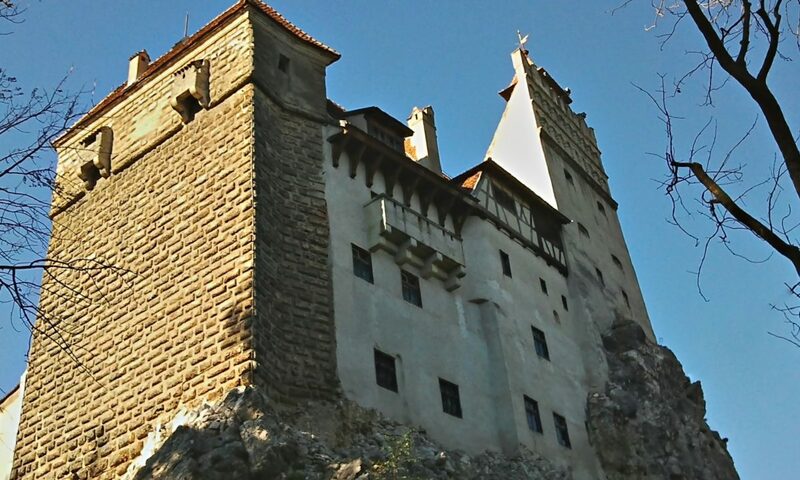 We had a fantastic time on our “Transylvanian Adventure” tour last September. 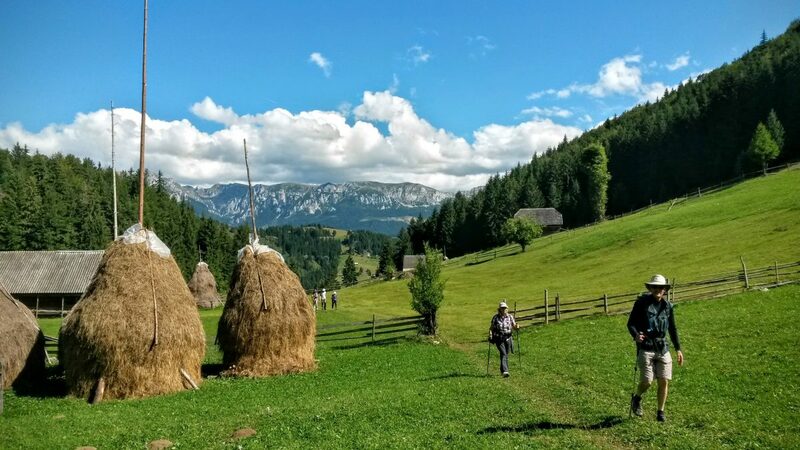 This tour is a great way to get an inside look at Romanian country life. We would never have found the beautiful region around Bran if we had traveled on our own. I wanted to write an account of my trip, just because I had the time of my life and I would love to see other people experiencing this adventure! The adventure staff is absolutely amazing. Really friendly and accommodating and perfectly able to handle difficult situations that arise out in the wilderness. We went kayaking, horseback riding, biking, sight seeing, and hiking. Everything was very challenging, but definitely manageable. I never thought I would be able to climb a gigantic mountain, but I did! I felt very encouraged by our guide and the other people I met on the trip. This I really can recommend to everyone who love nature! It was a real suprise to find so good arranged week in Romanian mountains which I had in beginning of June. Dan is really a quide who love his country and his work. 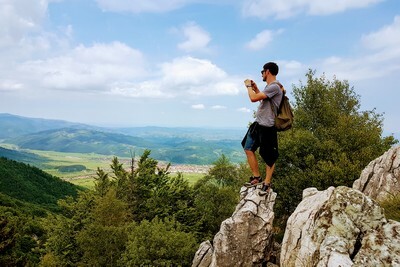 To all those planning a visit to Romania I can high recommend Adventure Transylvania as your travel agent, guide & trip planner. Last summer 2007 my family and I (two kids aged 10 and 12) booked a week with Adventure Transylvania.